soundimageplus: Which do you find the most interesting announcement? Nikon D800 - Canon IS lenses - Voigtlander 17.5mm f/0.95. Which do you find the most interesting announcement? Nikon D800 - Canon IS lenses - Voigtlander 17.5mm f/0.95. Lots of gear announcements this morning. And somewhat of a surprise, a Voigtlander 17.5mm f0.95 lens for m4/3. So which would you find the most interesting? 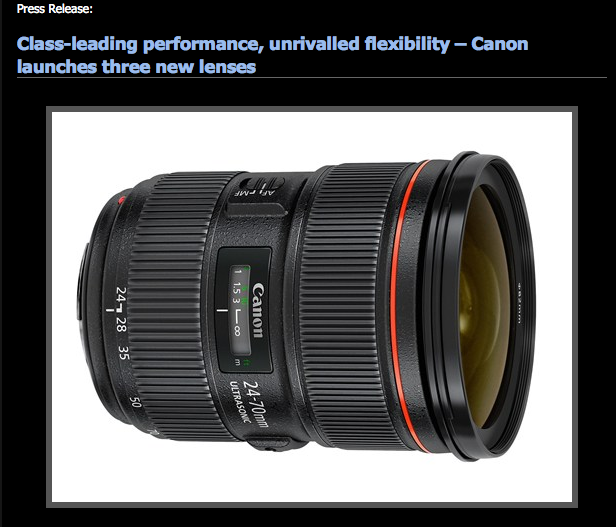 The Canon lenses will be of interest if you use Canon cameras and want an image stabilised 24mm and 28mm f/2.8 lens. 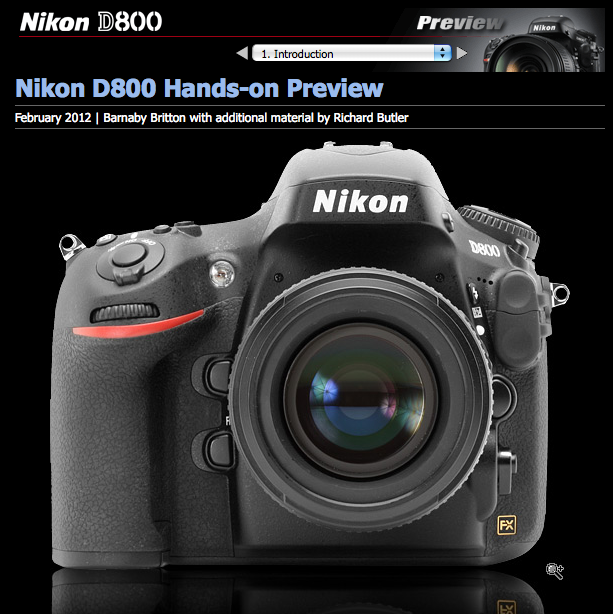 As Dpreview said "We're just not entirely sure who they're for" and that sums it up for me. Certainly the most interesting of the three as far as I'm concerned is the Voigtlander. 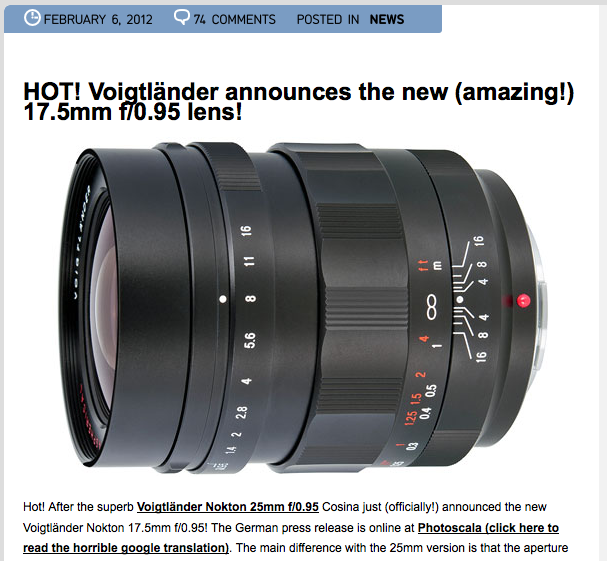 Seems it will be a 35mm equivalent (35mm / FF) version of their ultra fast and amazing 25mm f/0.95. So stick one of these on your m4/3 camera and feel like a low-light god. Its not really a lens for me as I'm much more interested in how a lens works at f/8 than f0.95, but I got some spectacular results with the 25mm and I would imagine this will be no different. A while ago I would have had my order in for the Nikon and the Voigtlander before even posting this, but things change. Incidentally a new camera did arrive yesterday, an Olympus E-PL3 and another one will be arriving soon, a refurbished E-P2, so as you can see I have somewhat different priorities these days. Still two out of the three announcements look very interesting and I'm sure will generate a great deal of enthusiasm and excitement amongst many photographers. We have just one major announcement left. 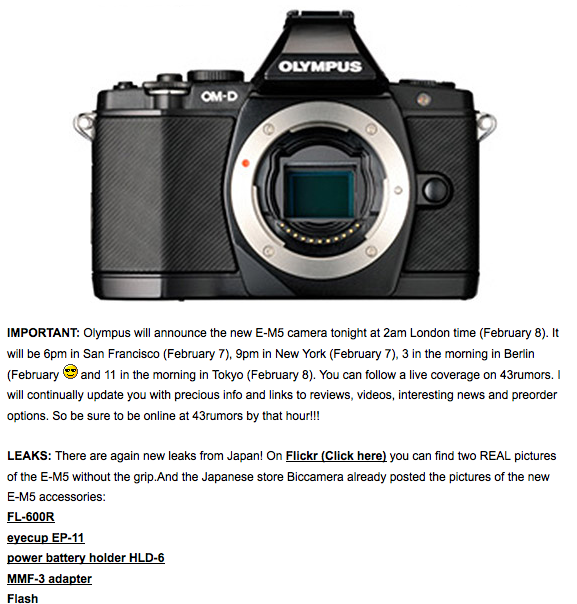 The Olympus OM-D is due to finally be confirmed tomorrow. Though quite what is left to say, I'm not sure. This must hold some record as the most leaked camera ever. However its certainly the one that floats my boat and I will be enthralled I'm sure, tomorrow morning. In the meantime here's yet more pictures from Andrea at m4/3rumors who is rapidly becoming the internets "leak king". Long may he flourish, though I would remind him Olympus apparently have some dodgy friends! !